"Mr Motor Racing" – a legend and the best Grand Prix driver never to win the world championship. There are many more ways to describe one of the most famous drivers in the history of the sport. Stirling Moss finished as Formula 1’s runner-up for four years in a row as he had the misfortune (or privilege) to race at the same time as Juan Manuel Fangio. His career also spanned generations – Moss racing against Rudolf Caracciola in the 1952 Mille Miglia and was Martin Brundle’s team-mate in an ill-fated return in the British Touring Car Championship in 1979. He continued to race into his eighties in historic events and is perhaps the most famous motor racing name in his home country. His father Alfred Moss finished 16th in 1924 Indianapolis 500 while in America studying to become a dentist. Born in West London five years later, Stirling Moss lived in the city throughout his life despite tax advantages elsewhere. He first competed with a BMW 328 in trials and rallies during 1947 and it was the following year and with a 500cc Formula 3 Cooper MkII-JAP that he began winning races. He turned professional in 1950 with HWM but broke his knee at Naples. Back racing just two weeks later, he gained national fame by winning that year’s Tourist Trophy at Dundrod with Tommy Wisdom’s Jaguar XK120. Moss drove anything from single-seaters to rallies and proved remarkably adaptable to all sorts of machinery. Success continued with his 500cc Cooper MkV-Norton in 1951 and Moss finished eighth on his world championship debut in that year’s Swiss GP after his HWM-Alta ran out of fuel on the line. He was third in the non-championship Dutch GP and returned to Dundrod to win the TT again, now driving a works Jaguar C-type. He tested the overly complicated BRM during the winter but it was not ready to race. Organisers hastily switched the 1952 World Championship to Formula 2 rules and Moss made five frustrating GP starts for HWM, ERA and Connaught – retiring on each occasion. Sixth for Cooper in the 1953 German GP, Moss finished second in that year’s Le Mans 24 Hours with a works Jaguar C-type and Peter Walker. A generally disappointing year in single-seaters was ended by a broken shoulder after a crash during a Formule Libre race at Castle Combe. The 1954 season proved to be his breakthrough one for Moss. He won the Sebring 12 Hours in Briggs Cunningham’s OSCA MT4 and, disappointed not to be included in the new Mercedes-Benz team, bought a Maserati 250F for the world championship’s return to F1 rules. He immediately finished third in the Belgian GP to score his first championship points. A works driver for the Italians by the end of the campaign, he did not finish another race. However, he impressed during qualifying and led the Italian GP until he retired within sight of victory. Alfred Neubauer was impressed and Moss joined Mercedes-Benz for 1955 as Juan Manuel Fangio’s team-mate in both F1 and sports cars. They became known as "The Train" as they ran nose-to-tail in successive GPs with the Argentinian inches ahead and world champion once more. The exception was the British GP at Aintree when Moss scored his first GP victory. They finished in line astern as Mercedes swept the top four positions but Moss remains unsure as to whether Fangio had let him win his home race on purpose. As well as F1, Moss enjoyed a successful sports car season in 1955 that included his greatest victory – winning the Mille Miglia in a Mercedes-Benz 300SLR when navigated by Motor Sport's Denis Jenkinson. He also won the Tourist Trophy and Targa Florio but Mercedes withdrew from the sport at the end of the year in the wake of the "Le Mans disaster". Runner-up behind Fangio in the 1955 F1 World Championship, he repeated that result for the next two years when racing as Maserati’s team leader. He also finished second at Le Mans again in 1956 in the works Aston Martin DB3S he shared with Peter Collins. Moss had always wanted to race for a competitive British F1 team and he joined Vanwall in 1957. He won the British GP after taking over from the ill Tony Brooks and added two further victories to finish second in the World Championship once more. Fangio, his hero and nemesis, entered semi-retirement at the end of the year and it was Moss that would surely benefit with a long overdue and deserved world title. Contracted to Vanwall once more in 1958, he won the opening GP in Argentina with Rob Walker’s Cooper T43-Climax in the team’s absence. He won another three rounds for Vanwall but that was not enough. Reliability hindered Moss’ cause and Ferrari’s Mike Hawthorn snatched the crown at the Moroccan finale by a single point despite only winning once. That was as close as Moss came to winning the title but Vanwall were crowned inaugural constructors’ champions that year. Vanwall withdrew from racing before the new season and Moss rebuffed advances from Ferrari (not for the first time) to race for Rob Walker’s private team from 1959. Gearbox reliability thwarted his championship hopes that year although he was part of a three-way title decider in the United States GP. His Cooper T51-Climax failed once more and Moss was third in the final standings. Walker bought a Lotus 18-Climax for the 1960 Monaco GP and Moss scored that marque’s first GP victory. But he was seriously injured when his left rear wheel fell off at approximately 140mph while practising for the Belgian GP. With fractures to legs and back, Moss returned before the end of the year and won the United States GP – his second race back. Despite being absent from three races (and part of the British boycott of that year’s Italian GP), Moss was third in the world championship once more. New rules were introduced for 1961 and Ferrari was expected to dominate. That year’s Monaco GP was perhaps Moss’s finest victory as his old Lotus held off the faster Ferraris lap-after-lap. He scored his 16th and final F1 championship victory in the German GP after his car had been updated with Lotus 21 bodywork. For the third year in a row, Moss was third in the championship having finished top-three for seven years in a row despite injury and often not having the fastest or most reliable car. No one has done more in a GP car without winning the title. He continued with his varied racing programme at the start of 1962 but crashed a British Racing Partnership Lotus 18-Climax at Goodwood’s St Mary’s corner during the Glover Trophy. Britain’s most famous driver was severely injured although the cause was never fully explained. It was a year before he was fully recovered from the head injuries he had sustained and he decided to retire. Moss is one of the anomalies that prove that championship titles sometimes do not matter. 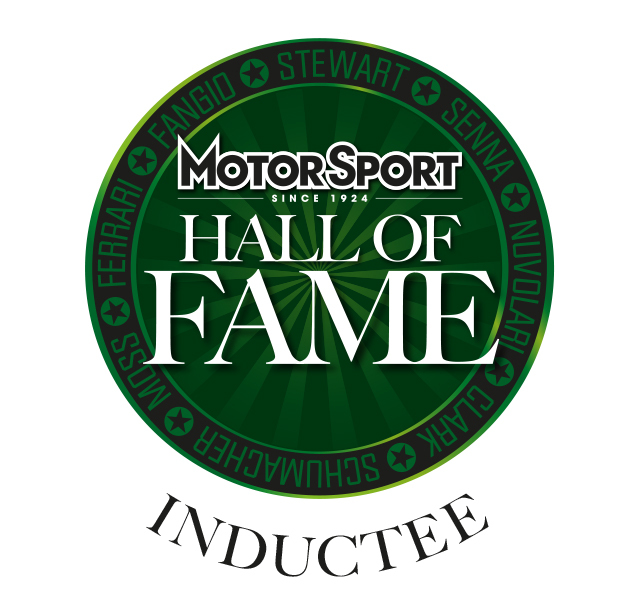 Always the consummate professional, he was awarded the British Racing Drivers’ Club Gold Star on a record 10 occasions and is as much a legend today as he was at the height of his racing career. Knighted in 2000, Sir Stirling Moss remains world champion in all but name.